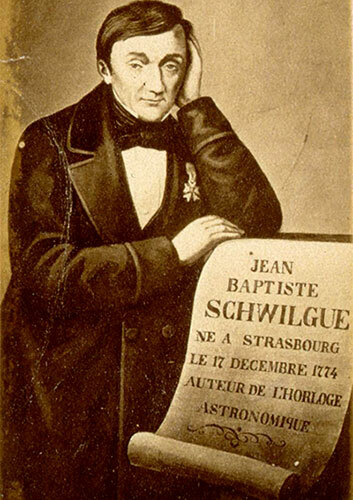 Jean-Baptiste Sosime Schwilgue was born on 18 Dec. 1776 in Strasbourg, France, in a house located at the intersection of Rue Brûlée and rue la Comédie (Luxhof). He was the second son of the civil servant François-Antoine Schwilgue (1749-1815) and Jeanne Courteaux (1750-1784). François-Antoine was native from Thann in Grand Est (Schwilgue (or Schwilcke) family settled in Thann centuries ago), and came to Strasbourg to serve as valet de chambre in l'Intendance royale d'Alsace à Strasbourg. 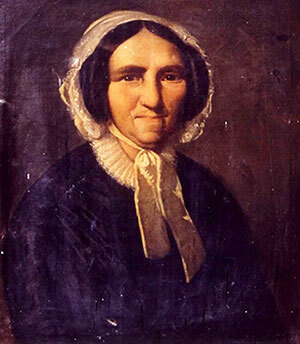 Jeanne Courteaux was native from de Solgne (Moselle). 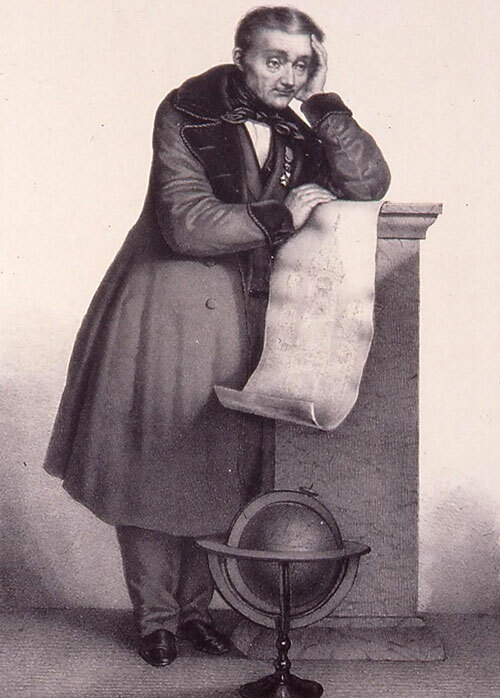 Jean-Baptiste had an elder brother, Charles Joseph Antoine, born on 10 Oct. 1774, who became a doctor and professor of medicine in Paris, but died only 33 years old on 7 Feb. 1808. His mother Jeanne also died young on 13 April 1784 and his father married second time in June 1785 to Marie-Anne Kauffeisen (1746-1809). As a boy Jean-Baptiste showed great interest to mechanics, and with the help of the simplest tools available to him, he produced various machines and instruments, by which he made special improvements which he had conceived. He was very fond of looking at the Strasbourg Cathedral astronomical clock, made in 1570s by Konrad Dasypodius (1532-1600), and often stood for hours before it, thinking about putting this highly sophisticated watch (which at the time was very badly or not at all functional anymore), again in the workable state. In 1789, after the outbreak of the French Revolution, the father of Jean-Baptiste lost his position and moved from Strasbourg to Sélestat, Alsace (he died there on 14 Feb. 1815), where Jean-Baptiste continued his studies, devoting himself especially to mathematics. Besides his studies, he learned the art of watch-making, entering a watch-making shop as an apprentice. In 1796 Jean-Baptiste became self-employed and married Anne Marie "Thérèse" Hihn (1778-1851), a daughter of the confectioner Charles Hihn and Thérèse Baldenberger, on 25 April in Sélestat. Eight children, three boys and five girls, were born from this marriage: Marie Thérèse (1796-1848), Jean-Baptiste (1798-1855), Charles Antoine Maximilien (1800-1861), Françoise (1802-1806), Louise (1804-1864), Adélaïde (Adèle) (1807-1850), Sébastien "Alexandre" (1811-1836), and Marie "Clémentine" Emilie (1813-1878). In 1807 Jean-Baptiste was appointed official at the district's office of Sélestat (he was the town clockmaker and verifier of weights and measurements), and also professor of mathematics at the local college, which he retained until he moved to Strasbourg in 1827. In the meantime, he was always occupied with the Strasbourg astronomical clock, and around 1820 he invented a mechanical church calendar with a precise determination of the movable festivals according to the Gregorian. This church calendar, which he had carried out in a smaller model (15x20 cm), he brought to the French Academy of Sciences in 1821, and even presented it personally to King Louis XVIII. 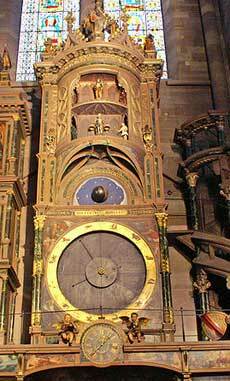 The masterpiece of Schwilgué's life was the third astronomical clock of Cathédrale Notre-Dame de Strasbourg (see the nearby photo). As early as 1827, Schwilgué had submitted to the city council of Strasbourg a report on the condition of the clock, together with three proposals on the repair of the same; the first two, while retaining certain parts of the old clock, and the third, for a completely new clock. But it was not until 1836, after lengthy negotiations, that the city council of Strasbourg came to a final decision on the restoration of the clock, and was only approved by the higher administrative authority in the beginning of 1838. As the agreement was signed in May 1838, in June, Schwilgué set to work on the new clock. Together with his son Charles and his apprentices and later partners—brothers Albert and Theodor Ungerer, he was able to finish this assignment in July 1842. On 2 October, 1842, on the occasion of the 10th Congress of Sciences in France in Strasbourg, the clock was set in motion for the first time, and Schwilgué was congratulated on all sides for the great success of the work which he had undertaken. In November, 1842, a large banquet was held in his honour, and on 31 December, 1842, a grand feast with a solemn parade through the town to commemorate the fortunate prosperity of the work erected by Schwilgué. In 1844 Jean-Baptiste Schwilgué, together with his son Charles-Antoine, patented a key-driven calculating machine (see the calculating machines of Schwilgué), one of the earliest key-driven machines in the world. In 1835 Schwilgue was appointed Knight of the Legion of Honour and in 1853 on report of the Minister of Education and Religious Affairs he obtained the rank of Officer of the Legion of Honour. 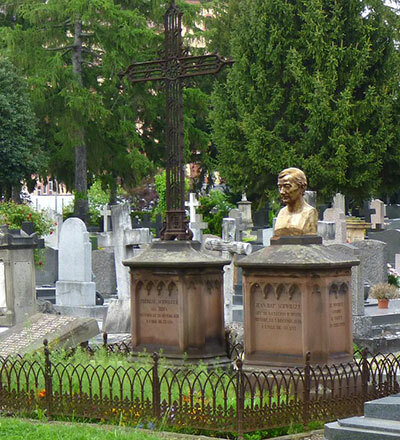 Jean-Baptiste Sosime Schwilgue died 79 years old on 5 December 1856 in Strasbourg (see below the gravestone of Jean-Baptiste Schwilgué and his wife Anne Marie "Thérèse" Hihn). His son Charles inherited his father in the workshop, but in 1858 he was paralyzed by a stroke, and died several years later.